Tomorrow afternoon, I’ll kiss my wife goodbye, and park myself on the sofa in my den with a remote control channel changer in one hand and a refreshing cold beverage in the other. I will turn on my TV and try to watch 15 college football games at the same time. The NFL season does not start until next weekend, and by then I will spend approximately 72 hours a week on my sofa as I watch college football all day Saturday, NFL football Sunday afternoon and evening, and Monday night football on … well, on Monday night! There will also be a few Tuesday night games and Thursday night games televised on ESPN, and I will watch those as well. I will occasionally leave my house over the next few months, but only to drive to Knoxville so I can sit in Neyland Stadium and personally witness a college football game between a group of fine student athletes from the University of Tennessee against a group of professional athletes from the University of Georgia. I would like to tell you that my annual fall separation from my wife is the happiest time of my year. But that statement would be untrue. 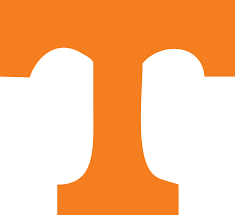 In fact, I am often miserable during football season, not just because I am separated from my wife, but also because my favorite team, the aforementioned Tennessee Volunteers, often break my heart. They actually lost to Vanderbilt two of the last three seasons, requiring me to undergo hours of counseling. I think there is something in the Book of Revelation about Vanderbilt beating Tennessee at the end of time. I had no answer then, and I have no answer now. The painful truth is I’m addicted to college football in general, and Tennessee football in particular, and I harbor the hope that before I die, I will get to make one more trip with my Vols to the Sugar Bowl. And so let me take this opportunity to publicly say goodbye to my wonderful wife of 34 years. I’ll see you in February, my dear, immediately after the conclusion of Super Bowl 50. Steve Smalling: I've thought about that "why do I watch it" question. My only answer is that I'm a Vol fan now, because I was a Vol fan when I was 8 years old. There is no cure. NFL football proved to be a different matter. I almost never watch an NFL game until the playoffs, and I don't miss it one bit. Now on Sunday, I read a book or go do something. Saturday, though, from 11am (6am if I have to leave early to go to Knoxville) until I fall asleep in the chair in front of the TV, is dedicated to college football! Randal Sellers: I consider the Vanderbilt comments to be "low blows"- otherwise, a fine blog. Frank Crawford: Great sermon! Take up the offering, sing the benediction, and we've had church! And Brother Bill, revival is coming to Neyland Baptist Church! Go Vols, and pass the fried chicken!